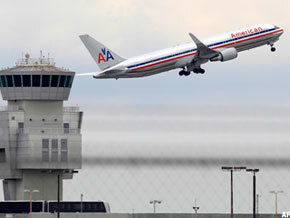 AMR's bankruptcy will be the airline industry story in 2012, with downsizing and perhaps a merger resulting. DALLAS (TheStreet) -- American Airlines and bankrupt parent AMR (AMR - Get Report) could save $1 billion a year by cutting unprofitable routes, veteran airline analyst Bob McAdoo of Avondale Partners suggested in a May report. "American's problems are clearly fixable," McAdoo said then, "either by this management or by some other." Today, it seems likely the issues McAdoo raised in May will be front-burner topics in 2012, as creditors and others mull American's future. In most cases, airline bankruptcies lead to cost-cutting on routes, airplanes and employees, and American isn't expected to be an exception. In his report, McAdoo stated: "More important than its costs are AMR's capacity decisions, its market selection and its unwillingness to halt or reduce flying in markets that are losers." For instance, he wrote, on the Chicago-London Heathrow route, American loses more than $75 million a year flying four daily round-trips with 980 seats. By contrast, United ( UAL - Get Report), with a bigger share of Chicago origination passengers, flies three daily round trips with 549 seats. United's revenue per available seat mile is 10.9 cents, while American's is 8.7 cents, McAdoo said. One problem: American fills its flights with connecting passengers who originate in Dallas and Los Angeles. That cannibalizes its Dallas-London service. Other losers, McAdoo wrote, include many of the carrier's highest-visibility, most prestigious routes: New York-London, New York-California, Chicago to Delhi, Beijing and Shanghai and Miami to Buenos Aires. The 10 worst markets lose $450 million a year, he said. On Chicago-Delhi route, for instance, MaAdoo estimated the loss at $40 million annually, noting that "American should not be ashamed if it were to eliminate service to India." For any airline, showcase international routes -- typically implemented only after great fanfare and arduous preparation -- are a source of pride and importance. Discontinuing them represents an emotional and psychological challenge that strikes at the airline's heart. Furthermore, in an interview after the release of McAdoo's report, an American executive argued that it takes time to build routes, especially if -- like American -- you start from scratch rather than buying international networks from other carriers, as rivals did. "The manner in which we are trying to build share is unconventional, in the sense that historically airlines have built franchises through buying them, or built them when the market was soft," said Vasu Raja, American's managing director of corporate planning. "But we have done this before in Miami. We have a line of sight on how we will build five world-class hubs, and we have partnerships in place to help us do that." No doubt American management will make the same case again, arguing that its existing routes can be profitable if its costs mirror its peers' and if it is given time to build markets. But other potential management teams are likely to make they case that they would be better able to fix American by unsentimentally cutting unprofitable routes. The big question is: Will creditors back a change in management? One much-discussed possibility is that US Airways ( LCC would seek to acquire American in bankruptcy court, arguing it can make the necessary cuts and that its management has already largely completed its successful merger with America West. In a letter to employees Thursday, AMR CEO Tom Horton laid out what is likely to happen. "There will be outside parties who may try to knock us off our path," he wrote. "Some will say we should shrink the company dramatically, close hubs and lay off thousands more to create the greatest value for creditors. Some will say the company should be sold or broken up. And as we've seen before in this industry, there may be opportunists who wish to acquire our company while we are in this situation. >>Media Critic: They Just Don't Get American Airlines! "We will restructure our debt and aircraft leases, and as we do we will undoubtedly need to ground some planes and resize our network before we can turn the corner and grow again," Horton wrote of current management's plan. "Regrettably, we will most certainly end the process with fewer people than we have today. And as part of the restructuring process, we'll need to finally agree upon next-generation, competitive labor contracts." As for the timing, some analysts expect the process will last into 2013. In a recent report, J.P. Morgan ( JPM analyst Jamie Baker wrote that he does not expect AMR to emerge from bankruptcy protection until the fourth quarter of 2013. McAdoo also expects a long timeline, at least until the end of 2012. In a recent interview, McAdoo said capacity reductions cannot begin until the bankruptcy court imposes a new contract on the pilots. The scope clause in the pilot's contract limits the amount of flying that can be done for American by pilots for regional airlines. By changing the contract, American could get rid of its inefficient 40- to 50-seat airplanes and hire regional carriers to fly the routes, McAdoo says. Also, he says, "If you fix New York-London right away, and reduce losses, how do you then make a strong case that you have to bust the union?" "I don't anticipate their cutting much capacity until after the summer," he says. "They have a sequential issue here: They have to work with the union before they make the cuts."